Haryana Health Department Recruitment 2017 – 933 Medical Officer Posts:- Haryana Health Department has published latest notification for filling up 933 Medical Officer in Haryana civil Medical Service (Group-A) in various Health Institutions in the State of Haryana. Desirous & eligible candidates can apply in prescribed application format on or before 17/07/2017. Age Limit: 22 to 42 years as on the last date of submission of applications. Educational Qualification: Graduate in Medicine and Surgery of a recognized University or degree of any other University or Institution recognized by the Medical Council of India and Registered as medical practitioner with Medical Council of India or any other State Medical Council in Indian Union. Hindi/Sanskrit upto Matric standard or higher education. Application Procedure: Eligible candidates can send their application in prescribed format along with all essential documents to the Director General Health Services, Haryana, Swasthya Bhawan, Sector-6, Panchkula-134 109 on or before 17/07/2017. 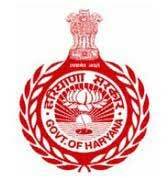 Subscribe our free job alert mail for Haryana Health Department Recruitment 2017.